Feeding times vary depending on the time of the year but are usually around 8pm in the morning and 3pm in the afternoon. Our cats are not caged but fenced from the road; but we have isolation buildings for small kittens and cats recovering from neutering and spaying, and a special place outdoors for young cats. None are pedigree. 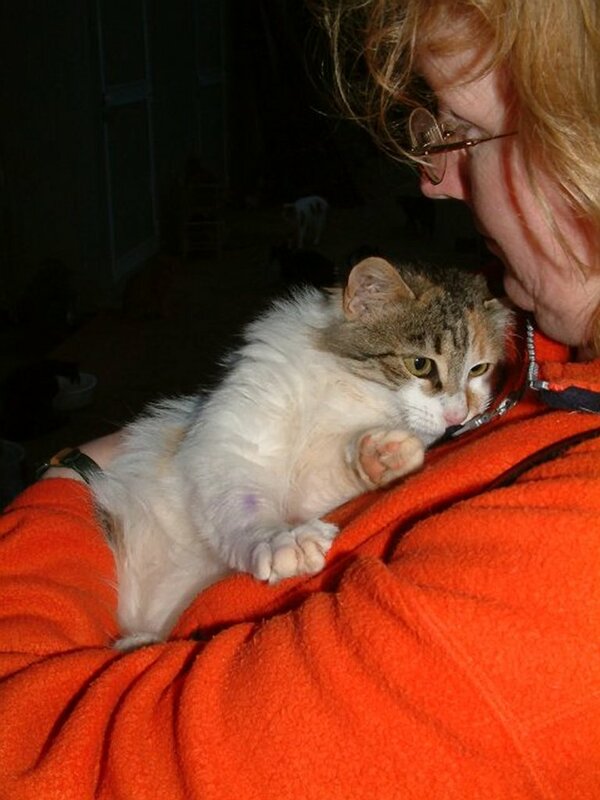 At any one time we average over 120 cats and many kittens in the kitten season. All are neutered or spayed as soon as they are of age. This is very important to the population – we have had no kittens born at our site since April of 1994. We find homes for any cats we can, always making sure they go to good homes. Unfortunately, cats and kittens are often left at the Sanctuary by irresponsible owners, without our permission or knowledge and with no suitable donation towards their upkeep. Unfortunately, many of these are also too young to be away from their mothers, and there is simply no way to save their lives. But we care for them all, and we can’t possibly have the Sanctuary ‘manned’ all day. Our volunteers know most of the cats by name and personality. The Helpers make sure that each cat and kitten gets a proper meal and are fed individually if too timid to eat with the others. If you would like to know more about our cats and the work we do please visit us between the hours of 9-11am and 2-4pm.. Our cats love affection and are always on the lookout for a new pair of hands! Prepare to fall in love with at least one cat or kitten!! 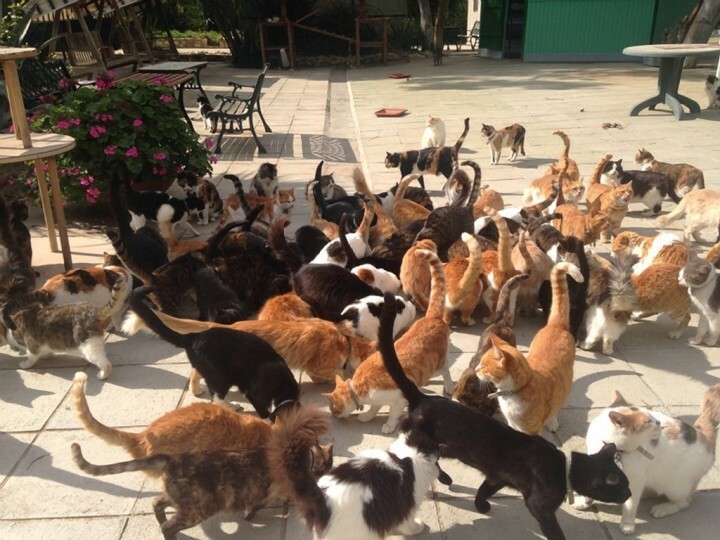 You can come along at feeding time and make a fuss of the cats; they love attention and affection. Bring your family along; if you and your family are unsure of animals and cats in particular this is a very good way to better understand them and their needs. If you bring young children, please keep them under supervision.